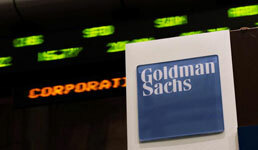 Goldman Sachs, whose wealth management arm traditionally focused on wealthy families and institutions as its competitors dove into the mass affluent market, may be getting closer to offering a robo-advisor to small investors, according to Business Insider. The company has recently signed a deal with Google to offer financial coaching to its U.S.-based employees through Goldman’s financial planning subsidiary Ayco, which Goldman acquired in 2003, the news website writes. Ayco had traditionally worked with human resources departments offering tax preparation, investment advice and insurance to corporate executives but has already started offering the services to lower-level employees as well, according to Business Insider. Clients at an executive level, meanwhile, can also talk with a financial counselor who can delve further into tax, investment, estate and insurance issues, according to the website. And with demand from corporate management teams to have financial planning solutions available to all employees at their firms, Goldman has been revamping Ayco’s services, Business Insider writes. "Newer economy companies, so a lot of the West Coast tech firms, won’t even talk about executive counseling unless there’s a solution for all the employees," Ayco president and Goldman partner Larry Restieri tells the website. "So getting into financial wellness was a business imperative." At Google, everyone from the C-suite executives to “first-year coders” will have access to Ayco’s financial planning services, according to Business Insider. And the platform that will be available to Google staff already resembles the way clients sign up for robo-advisors. Employees will answer a series of questions about their financial status and goals, and algorithms will ensure that the resulting advice is tailored to each customer, the website writes. Plans for Ayco’s platform include offering investment products such as a managed portfolio and investment sleeves, Restieri tells Business Inside. And more than 1 million clients are expected to have access to Ayco’s platform before the end of the year, he says, according to the website. While that may pale in comparison to Morgan Stanley’s retail brokerage, which has more than 4 million clients, Ayco’s growth strategy means it can onboard hundreds or thousands of new customers to Goldman with a single corporate partnership, Business Insider writes. And eventually, Goldman may even expand Ayco to the mass market, according to the website.